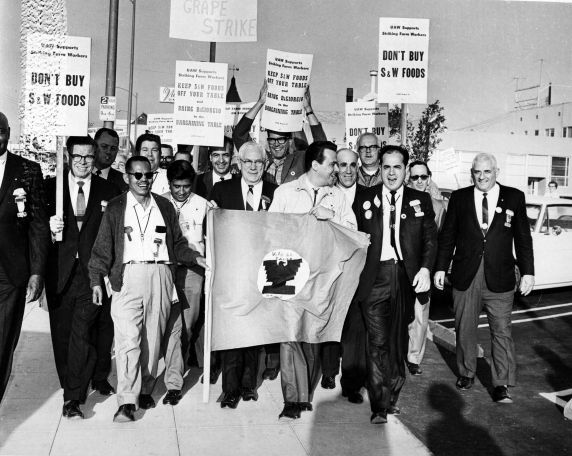 Members of the United Auto Workers (UAW) and the United Farm Workers Organizing Committee (UFWOC) march against S&W Foods during the Grape Boycott, Long Beach California. UAW members were in the area to attend the 1966 conference. Left to right: Roy Reuther, Larry Itliong, Cesar Chavez.